Pictured, Wendy Lavarnia. Police bookings photo. 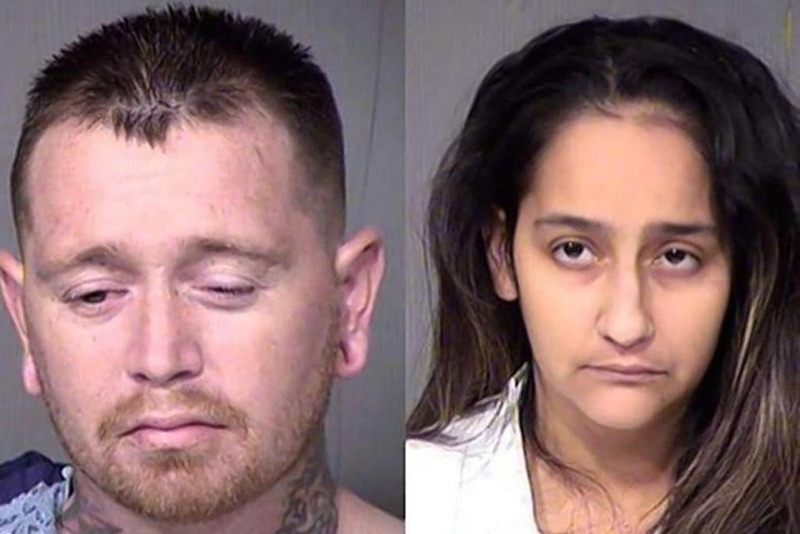 Pictured Phoenix, Arizona couple, Kansas Lavarni and Wendy Lavarnia who were arrested after their two year old son shot dead their nine year old son. Wendy Lavarnia a Phoenix mother is arrested after her two year old son shot dead his nine year old brother dead. Mom instructed toddler how to use the gun. 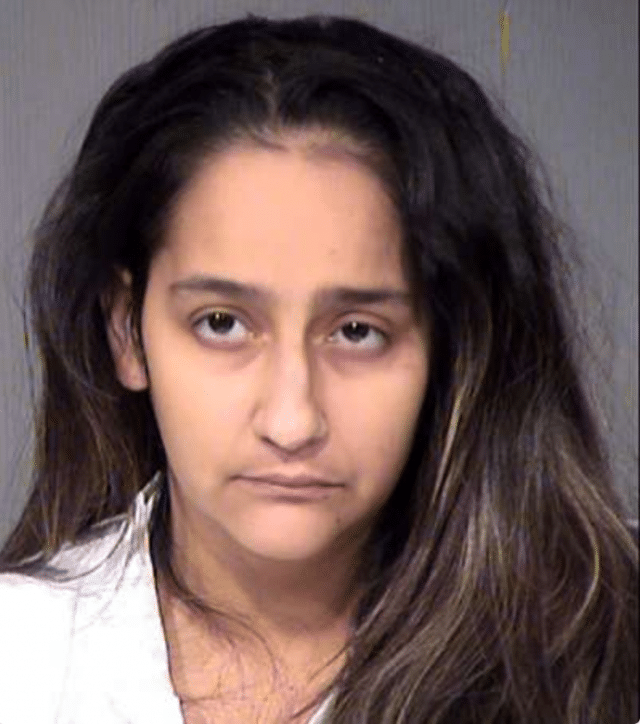 Wendy Lavarnia a 28 year old Phoenix, Arizona woman has been arrested after her two year old son shot his 9 year old brother dead. The woman’s arrest comes after the toddler came across a loaded gun the mother had left on her bed on Monday reported AZ Central. 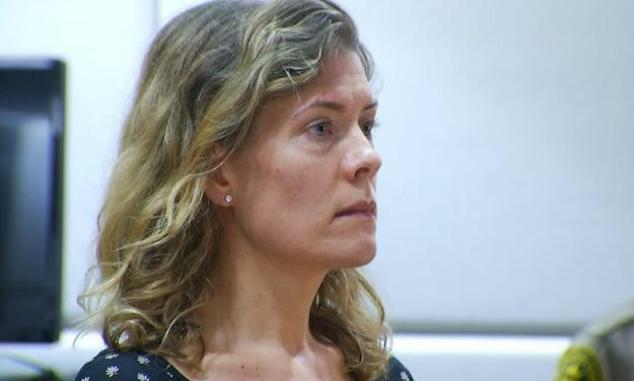 Pursuant to her arrest, Lavarnia was charged with four counts of child endangerment after her youngest son fatally shot her eldest son in the head. Of note, the mother’s arrest comes after it was revealed that Lavarnia had encouraged the toddler to practice pulling the trigger at the family home. 9 year old boy, Landen Lavarnia had been on life support but died on Tuesday night reported AP. Also arrested and taken into custody was the children’s father, Kansas Lavarnia, a convicted felon, who kept possession of the gun in the family home. Due to previous burglary and theft charged the man was prohibited from having a firearm noted KPNX. At the time of her accident, the father wasn’t at the home. The man arrived at the family home located in the 3500 block of West Rosewood Avenue after first respondents had already arrived. Wendy Lavarnia told police she’d left the loaded gun on her bed while her two sons were nearby as she went to retrieve a holster for the weapon. That’s when the mother heard the fatal gunshot. According to KNXV-TV there were two other children inside the home at the time of the shooting, Lavarnia’s four-year-old son and one-year-old daughter. The boy was initially reported to have died on Monday, but police then announced on Tuesday he was still alive. Lavarnia’s bond is set at $25,000, with the mother forbidden to return back to the scene of the crime or have contact with any alleged victims, unless the court allows it. The mother asked a judge if she could go to the hospital to see her son and was told she would remain in jail until she posted her bail. Of note, a study conducted by AP found minors died from accidental shootings at their own hands, or at the hands of other children or adults, at a pace of one every other day during the first six months of 2016. Yet to be necessarily understood is what led to the mother instructing her toddler son how to use the father’s gun.